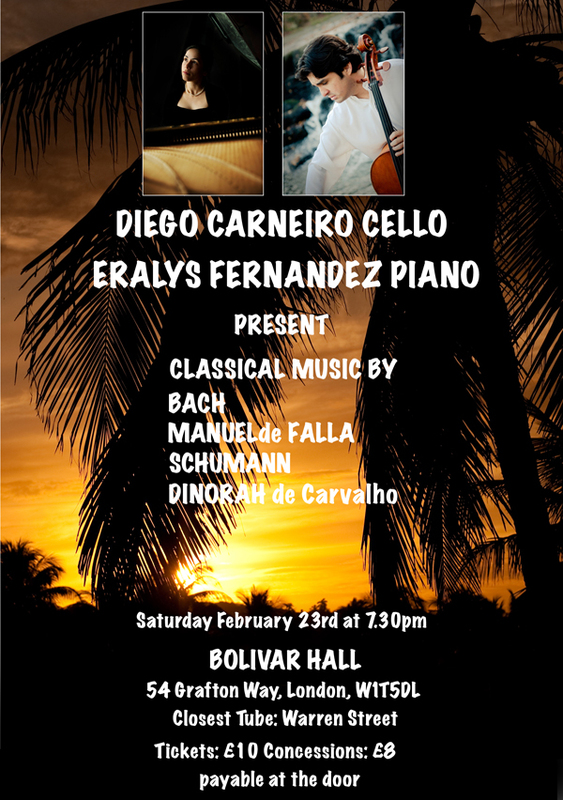 This concert is taking place at the Bolivar Hall in London and features myself performing with Diego. 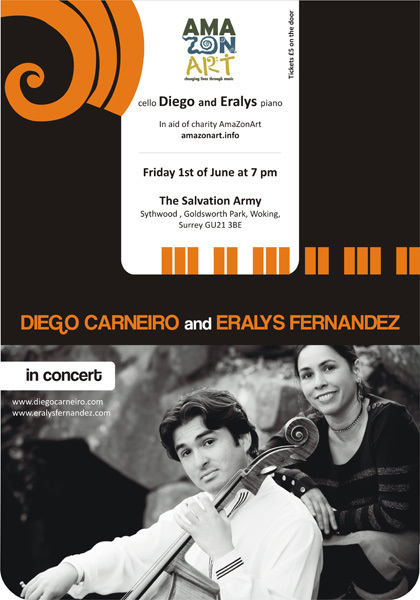 The programme is evolving and will continue to evolve as Diego and myself will be working towards this concert for the best part of a month. 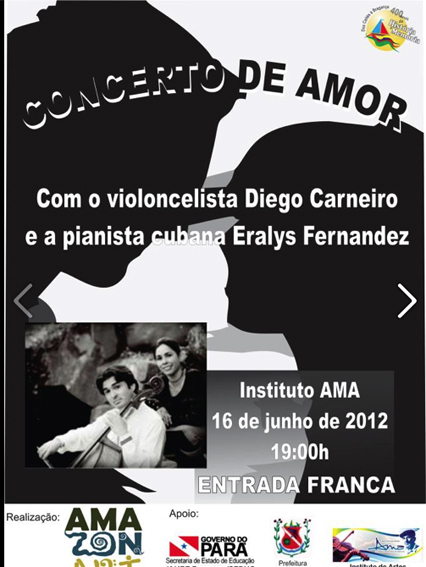 We will also be performing for the first time a piece for cello and piano that I am writing with Diego in mind. 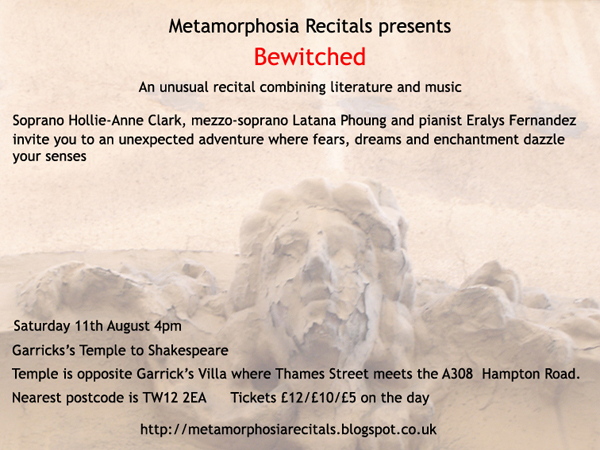 It promises to be a great concert at an exceptional, intimate venue. 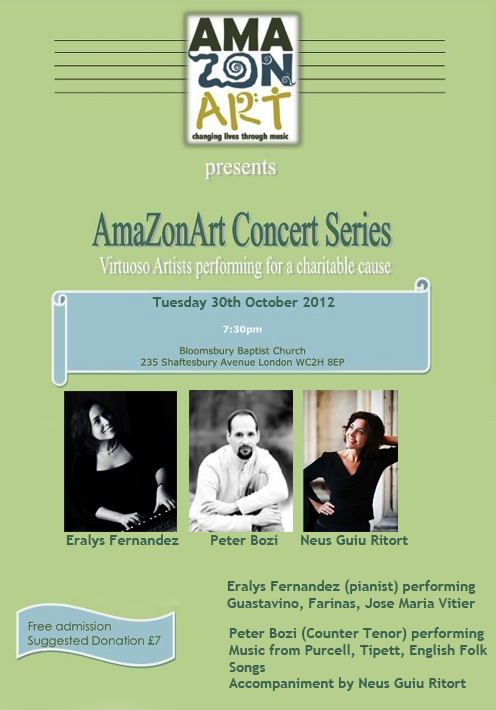 I will also be launching my new CD title “Alta Gracia” featuring music from Cuba and South America. As most of you know I am in Brazil for 2 weeks playing in various concerts and also exploring the work of AmazonArt, the charity set up by Diego Carneiro to support artistic projects in the Amazon region. All Rights Reserved. © Eralys Fernandez.